Cartoons are an inalienable part of everybody’s childhood. They remind us of happy events from our early ages. Moreover, they are pleasant for our eyes, so the cartoonized pictures seem more attractive to the viewers. The list includes applications for Android and iOS (from 1 to 7) and for either Android or iOS (from 8 to 15). With Cartoon yourself you can transform your favorite photo into a cartoon in a fraction of a second. 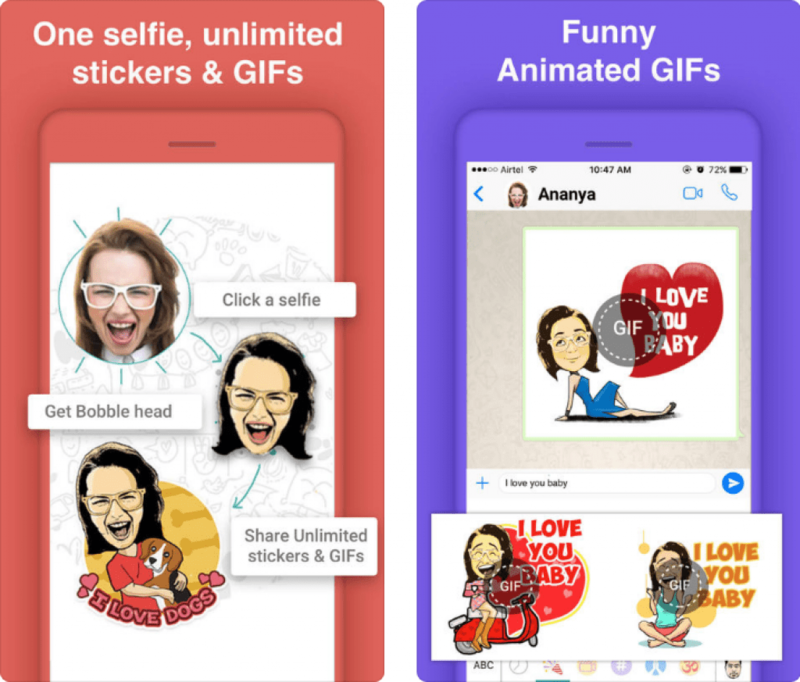 This user-friendly app can help you cartoonize yourself in 3 simple steps: add your photo (from the gallery or take an instant photo) -> apply cartoon effect -> save your new photo or post in on the Internet. There are 12 types of cartoon style available: sketch, drawing, black and white cartoon, etc. Add stickers or text and turn them into cartoon effect with your photo. You can also crop the final image into various shapes: circle, square, rectangle, the shape of a heart, etc. No internet connection is required. The app works in the off-line mode. 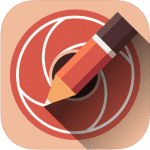 Painnt – Art & Cartoon Filters is a digital photo editor. With Painnt you can edit your photo so that it looks like a masterpiece of a famous artist or like a cartoon or a comic book. 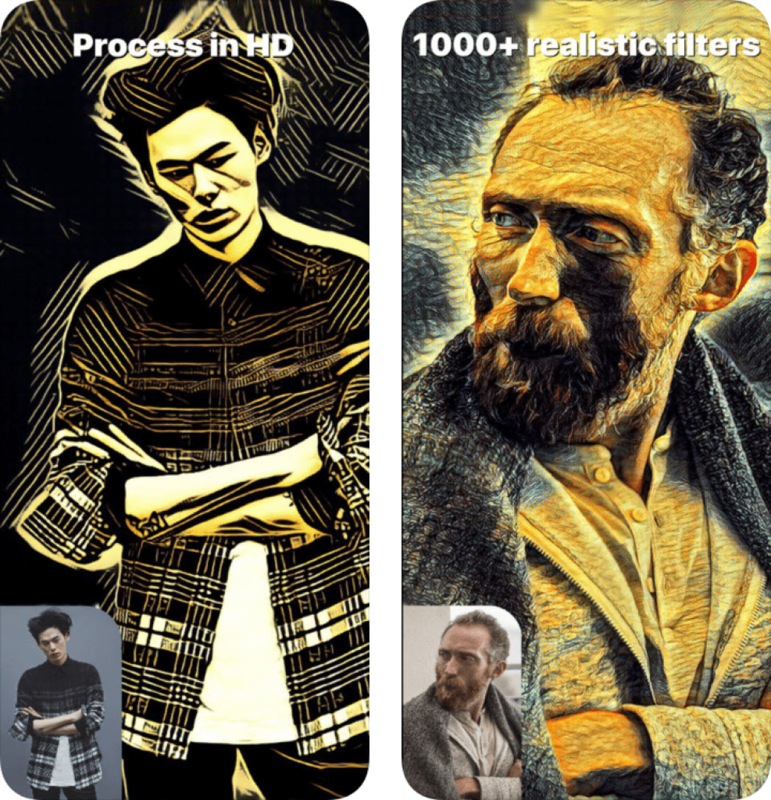 More than 2 thousand filters are at your disposal from the classic filters to the modern ones. You can add your own filters and share it with the community of Painnt users. Painnt is a free app it the possibility of a premium subscription. Per week, per month and per year subscriptions are available. With the Premium account, you will have an access to an extended library of filters, edit your photos in HD quality and download them without any app watermark. Sketch Me! 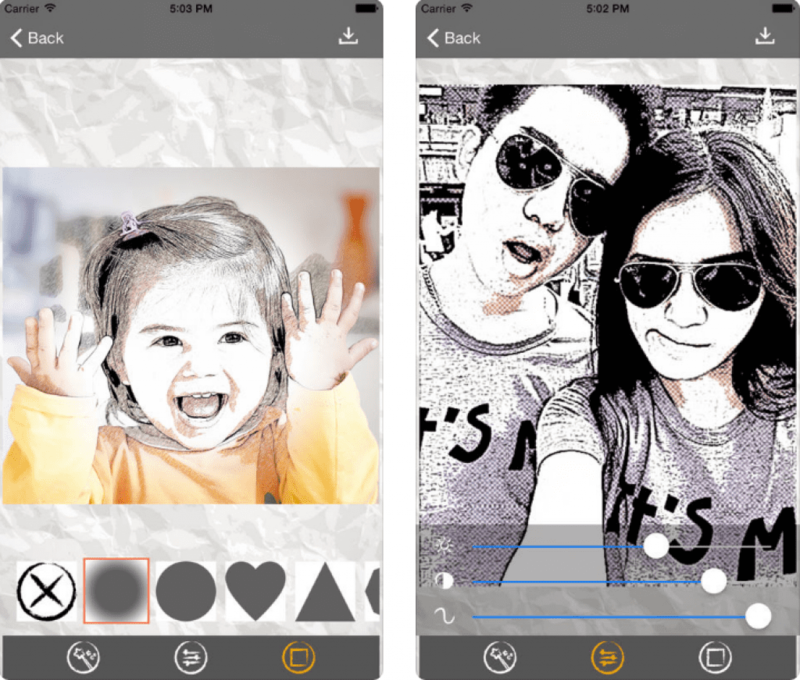 Sketch&Cartoon is an easy-to-use app that can transform your photos into cartoons, drawing and sketch images. 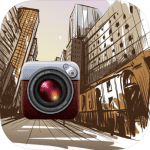 The app disposes of around twenty most used effects that you can apply to your photo to cartoonize or sketch it. 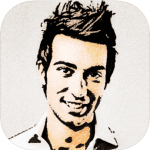 Apply various style effects to an uploaded or taken photo (cartoon, pastel, color sketch, etc. ), make necessary adjustment and save the final image to the gallery or share it with friends on the Net. More than 300 millions people use MomentCam Cartoons & Stickers to transform photos into comic cartoons and animated stickers. 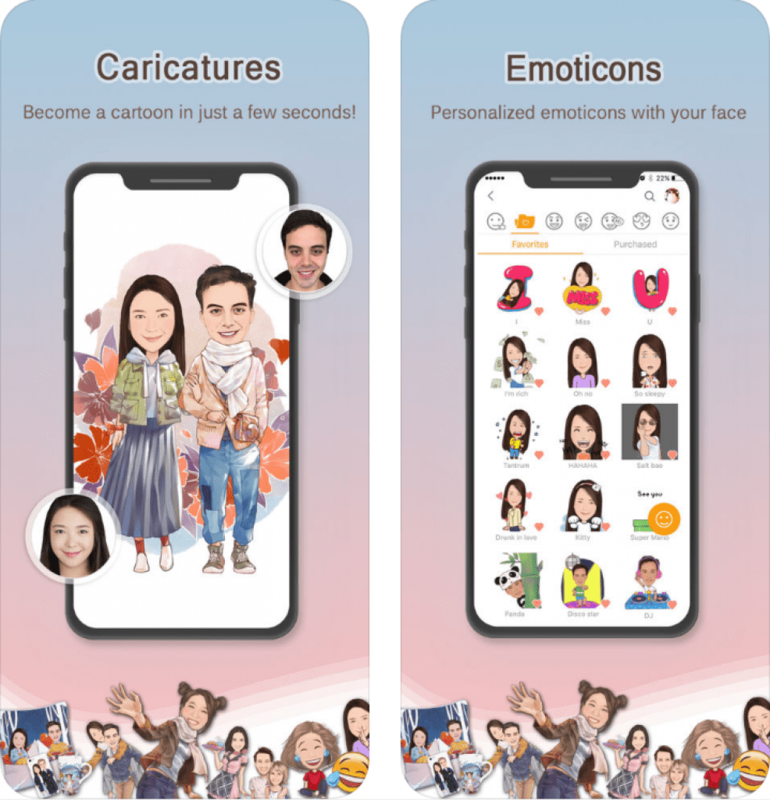 Choose a picture you want to convert, cartoonize it to make a caricature, add some stickers (accessories, change a hairstyle or a facial expression of the person in the photo, etc. ), add quotes in text bubbles. 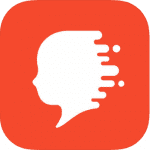 The database of MomentCam is renewed daily and can be adjusted to your region, cultural background, and your personal preferences. 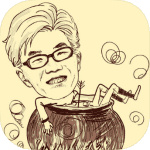 Apart from static photos, MomentCam provides you with an opportunity to create emoticons and stickers. Share the result with your family and friends to have them in stitches or with the whole MomentCam community to win prize and awards. With Bobble GIF Stickers Keyboard your online communication will never be boring again! From now on you’re able to express all range of emotions with a range of stickers, GIF images, emoticons, etc. that is provided for you by the app. 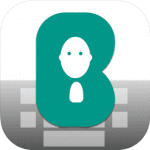 Bobble GIF Stickers Keyboard can be personalized and adapted to your needs. With the artificial intelligence system most used stickers, images, etc. will be shown to you in the course of a talk. 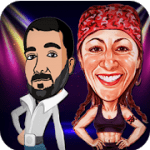 What is more, there is a special tool that allows you to cartoon yourself in this free app. With face recognition system you can make a Booble head of you and use it while communicating with friends. 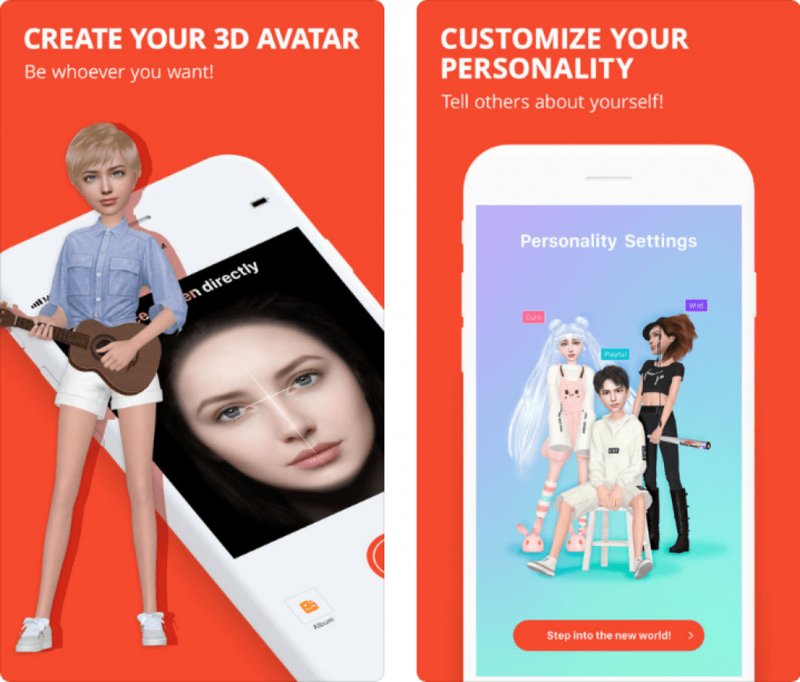 Do you want to create a 3D Avatar that would resemble you? With Meing – Create, Play, Relate it is as simple as never before! Thanks to 3D facial reconstruction technology you can create the 3D avatar that would be a digital copy of a real you. In order to become more attractive, you can make changes to your face and body features, choose a new hairstyle and put on fashionable clothes. Make your character more realistic – enter your special personality features and add some peculiar characteristics to let others get to know you a bit closer. Meet other people, chat with the other users and get involved in relations, play with the others! What is more, you have an amazing opportunity to shoot AR Films and create a customize avatar of yours or stickers and memes. 120 Million users are already using Prisma photo editor – the app that has been awarded the title of the App of the year in 2016. Prisma photo editor is an app that can turn your simple photo into a piece of art. Making a cartoon of yourself is also one of the options! Over 300 styles are at your disposal in the filter library. New filters are added every day. Special styles are added to Prisma photo editor from time to time. Join the community of creators: follow other users of Prisma, get inspired by different publications, chat with their authors to further progress in photo editing. 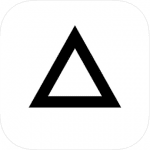 Two different Prisma Premium Subscriptions are available: per month and per year. Do you want to make your friends laugh? Turn your photo in Make a funny picture! Cartoon Caricature Face Maker is an application for Android that will let you make a funny cartoon or a hilarious caricature of you! 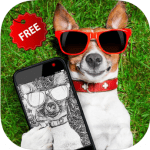 Edit your favorite photo by using over 80 cartoon images, add a text in a beautiful font (more than 25 fonts are available), add stickers and use final image as an avatar or simply share it via social networks. Do you want to make your friends laugh? 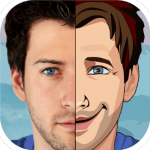 Use Cartoon Face animation creator to modify your selfie photo. 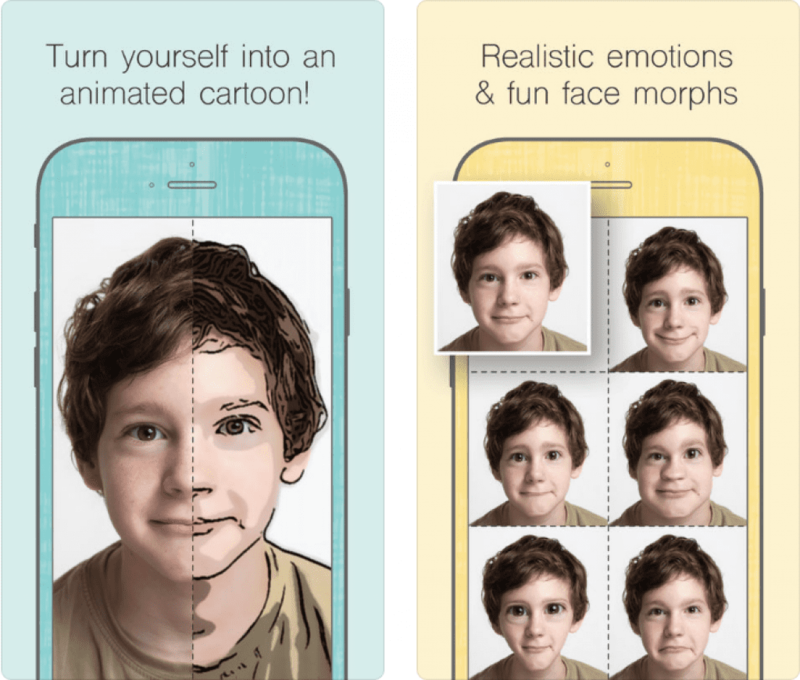 Convert your selfie to a cartoon of simply change your facial expression. You can make you look extremely happy or in desperate grief, add a wink as if you flirt with someone or a wow facial expression, transform you into a troll or an alien. Make a static photo or an animated video, save it to the gallery and share it with your friends via Instagram, Facebook, and other social networks! 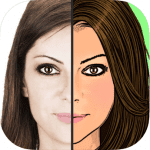 Clip2Comic & Caricature Maker is a free photo editing app with the help of which you can create a high-quality cartoonized photo and save it on your iPhone or iPad. Clip2Comic is an app for editing videos as well. So, you can cartoonize a video that you shot in a fraction of a second. Over 8 various effects are available. 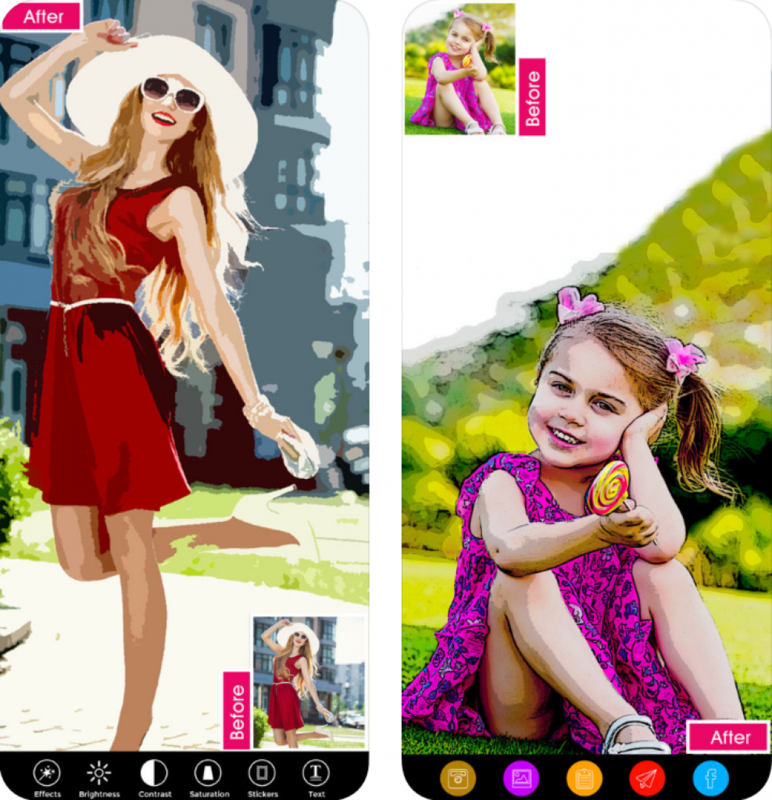 Apart from ordinary functions that any photo and video app dispose of, Clip2Comic & Caricature Maker has some special tools and functions. First, you can use an Apple Pencil or work with your finger to edit a photo. It will definitely improve the quality of your picture. Second, with a deformation tool, your caricatures and cartoons will look a lot funnier and more authentic! What is more, Clip2Comic & Caricature Maker developers collaborate with www.mypostcard.com. That means that you can order a postcard with your edited photo. You can share the final image not via social networks but also by sending a postcard by snail mail! You can also order a poster to stick to your bedroom door. All these functions are available thanks to high-resolution images. Image Cartoonizer or, simply, iCartoonizer is an app, officially elaborated by Cartoonize.net creators. 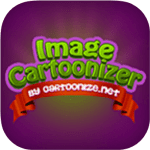 iCartoonizer is a tool to turn your photo in a cartoon in your Apple devices (iPhone or iPad) with the help of over 100 cartoon filters and cartoon effects available. 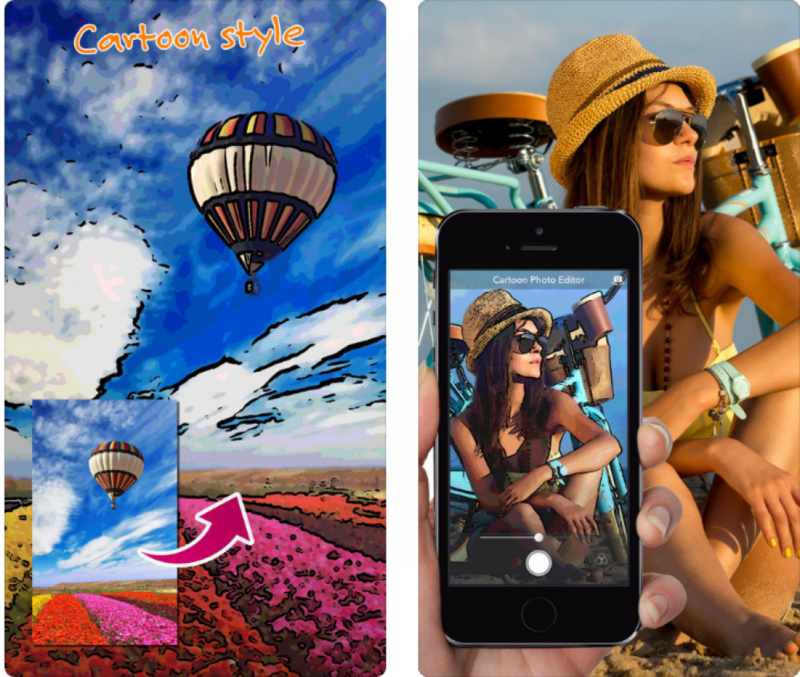 Image Cartoonizer disposes of standard tools necessary to edit a photo, such as a possibility to add stickers, emoticons, a text; a possibility to crop, resize or splash a photo, apply various filters and so on. 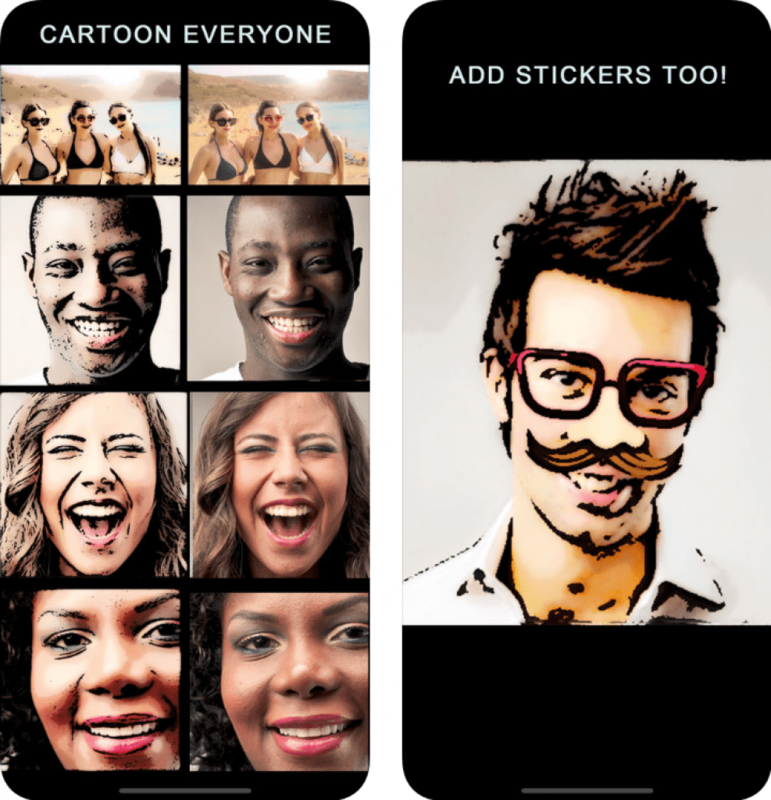 With Image Cartoonizer the cartoon photo-making program is on your mobile device now! With Cartoon Photo Editor creating a cartoon style photo is simple and quick. Choose one of the filters available (cartoon style, sketch or some others), take a photo and share it via social networks or save it to your gallery. 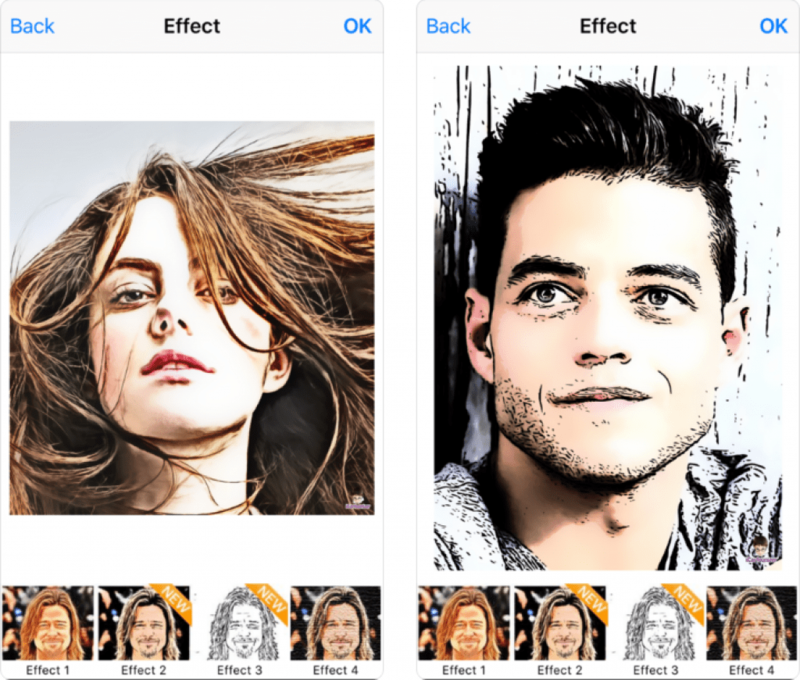 This app with a user-friendly device has 8 art effects designed by professionals. Cartoon Photo Editor saves your time by letting you take a photo with an applied effect and not to edit it afterward! 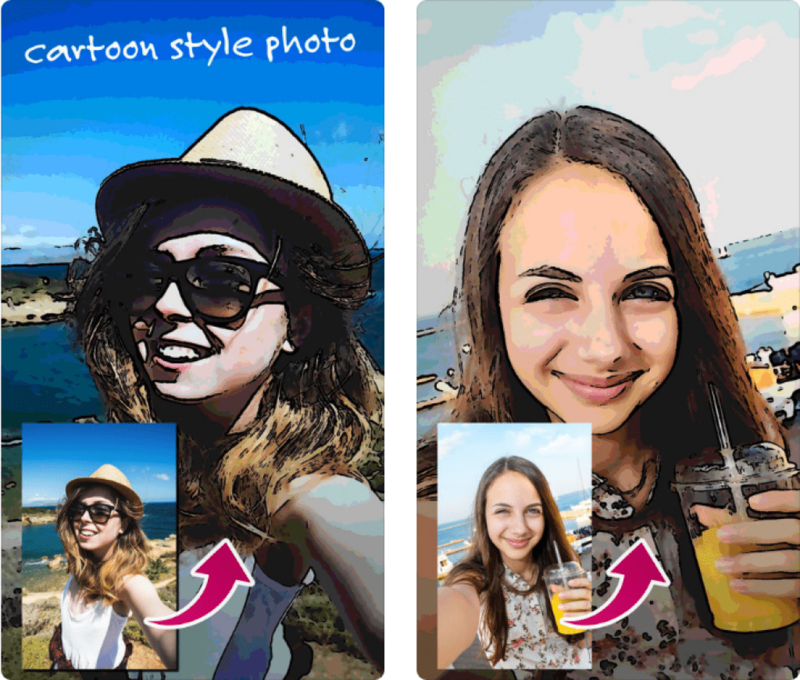 With Cartoon Selfie Camera creating an instant cartoon style selfie has become a lot more simple. 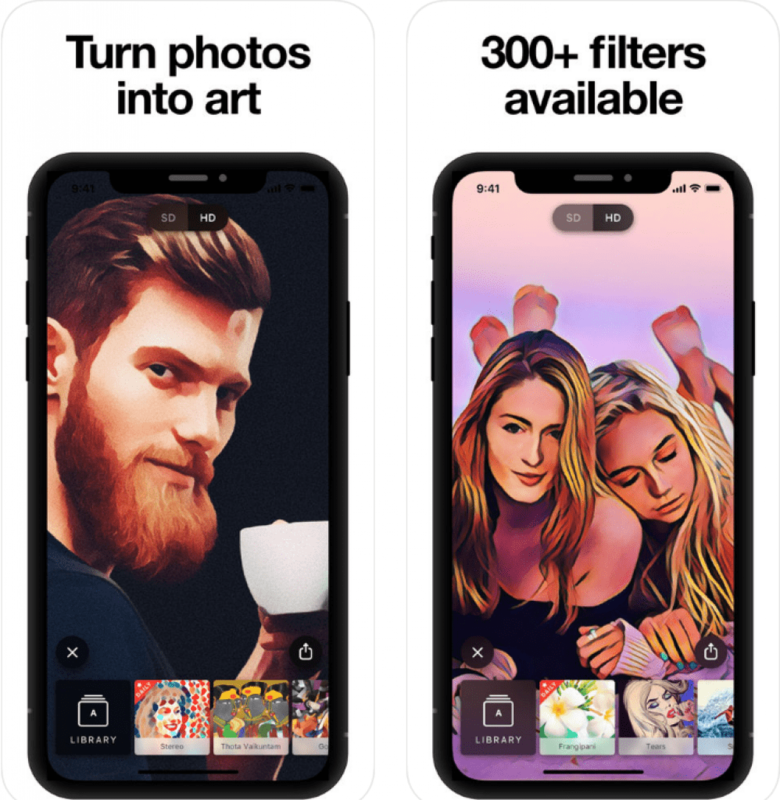 Choose one of the filters available (sketch, cartoon style, or some others), take a selfie and share it via Facebook, Instagram or other social networks or simply download it to your gallery. 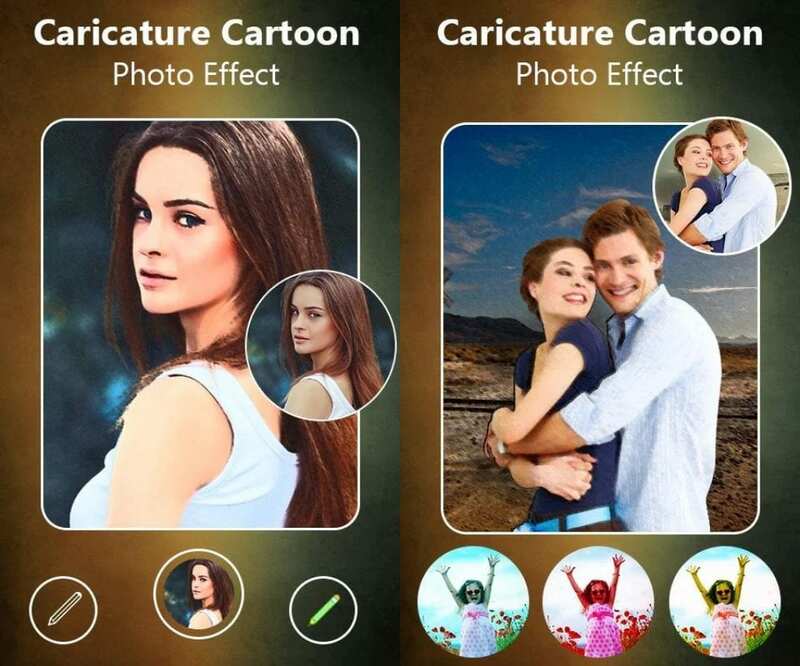 This app with a user-friendly device has 8 art effects designed by professionals.Cartoon Selfie Camera saves your time by letting you create a selfie with an applied effect and not to edit it afterward! CariCartoon is s Caricature Maker app. Do you want to create a hilarious cartoon image? You’ve found the app you need! You can use your photo and transform it into a comic cartoon. Use your own imagination and fantasy. In your cartoonized photo, you can become a superhero or a Lap Dancer, make a cartoon video for a birthday party, for a wedding anniversary, etc. 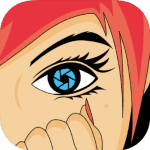 CariCartoon is an easy-to-use app that disposes of more than 100 scenarios and backgrounds. You can also change your face or color of your hair, add text. Finally, you save your cartoon in a high resolution and can print the final image or share it via Facebook Instagram, Twitter or other social networks. Download CariCartoon and create cartoons of your friends and you! 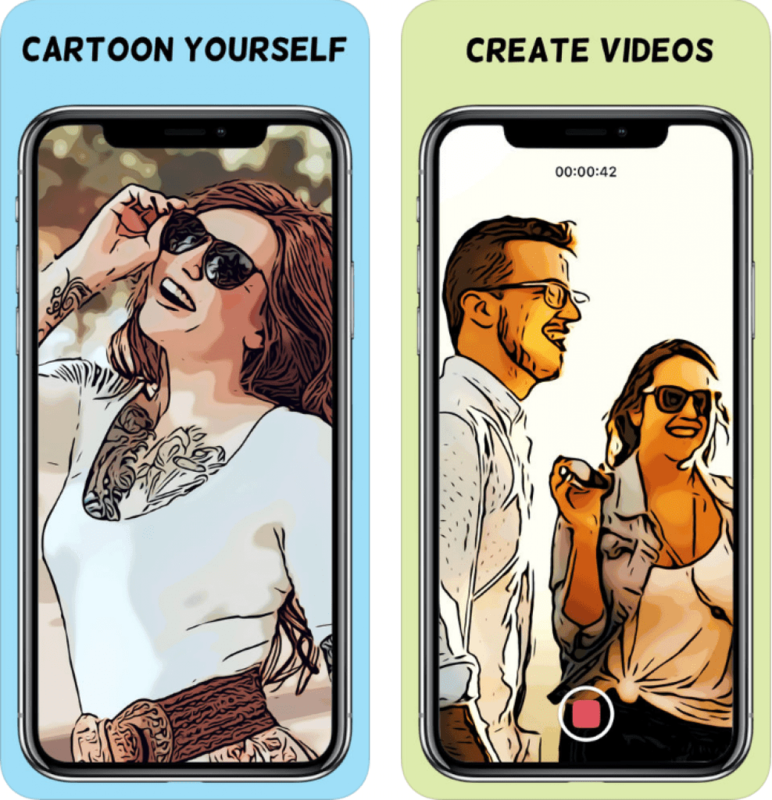 Photo To Cartoon Yourself Edit is a free app for iPhone users that lets you convert your favorite photos to the cartoon ones. 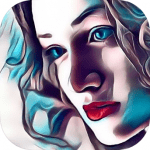 Upload a photo you would like to cartoonize or take a photo directly from an app, edit it (change photo’s sharpness, brightness and the contrast) and save in your gallery or send it to an e-mail/ share with your friends on social networks. With Photo To Cartoon Yourself Edit making yourself look like a cartoon character has never been so easy! 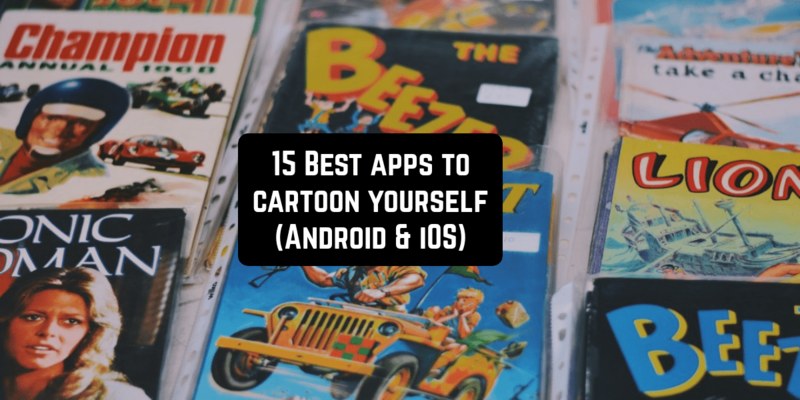 We hope that this list of apps to cartoon yourself will let your imagination flow! That you will get more likes on social networks and make your friends laugh!